Don’t leave anything that you love inside a parked car in summer’s heat! There’s been enough publicity by now about people who left a child or a pet in a hot car and came back to find a broken window and an angry crowd that I think most people have too much sense to make that mistake. But on a more trivial level that’s still important to wine enthusiasts, it’s worth keeping in mind that a surprisingly short stay in a hot car can damage that case of wine that you were looking forward to enjoying, too. 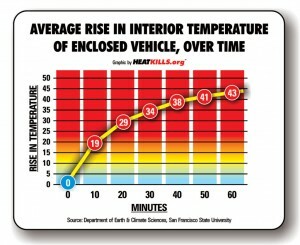 What’s more, it doesn’t have to be fiery hot outside to turn your parked car into a virtual oven. We did an experiment back in 2001, placing a bottle of wine in my car parked in the sun on a 92-degree day. That was enough to bring the interior up to 120 and to shove the cork part way out of a bottle of modest California Cabernet. The wine proved to be still drinkable, but its longevity was surely compromised. I’m glad the cork didn’t come all the way out or the bottle shatter. So here’s my advice: Buy your wine on the way home. Or, if you have to shop during the day, bring it inside under air-conditioning if you can. Worst case, put it in a cooler with ice, which should protect it for a few hours. But don’t decide it’s “probably okay” to leave it in the heat for an hour or two. That’s not good for your child, your cat, or your wine. Speaking of summer and its heat, there’s no better time than summer time to enjoy a good pink wine. We’re tasting and talking about rosé wines this month in our WineLovers forum’s Wine Focus. We’re open to all the world’s pink wines, so open the bottle of your choice and come tell us about it! Your comments, tasting reports and questions are welcome at Wine Focus for June 2018: Rosé! I’ve started the month with a couple of fine rosés from Provence. You’ll find my tasting reports below. 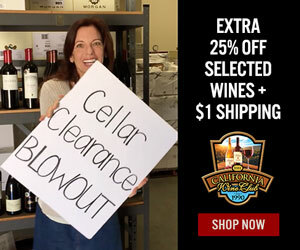 Cellar Clearance BLOWOUT Sale ends June 15, 2018. Some restrictions may apply. WHEN TO DRINK: Good balance and an airtight glass apothecary-style stopper will help preserve it, but rosé generally shows best when it’s young and fresh. I paid a couple of dollars more for this fine Provence rosé than Wine-Searcher.com’s $17 average retail, but it’s an excellent pink wine worth a $20 toll. this page from importer Frederick Wildman. 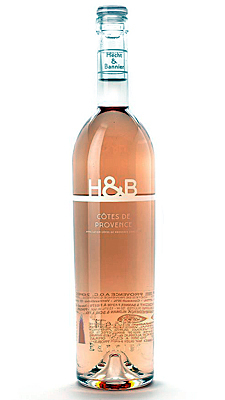 Find vendors and look up prices for Hecht & Bannier “H&B” Côtes de Provence Rosé on Wine-Searcher.com. WHEN TO DRINK: Good balance and a sturdy screw cap will spare it from a quick demise, but rôsé is usually best when it’s young and fresh. I was happy to get this 2017 within less than a year after the vintage, and always look for the freshest available. My local price conforms with Wine-Searcher.com’s $11 average retail; it’s a fine value at this price. 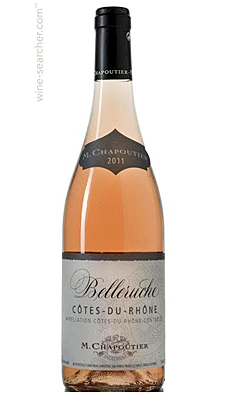 Here are fact sheets on Belleruche Rosé on the importer’s page and on the winery’s English-language pages.